The recent solar eclipse offered a powerful reminder of nature’s beauty. But for those of us stuck at our desks or unable to buy our glasses on time (read: thinking we could buy them last minute), technology won the day. This is because CNN, National Geographic, and a number of other high-profile publications did their best to place viewers at the heart of the action using interactive 360° video technology. With the click of a button, users across the world were transported to a field somewhere in the line of totality, able to look around, zoom in and out, and obviously, stare at the sun. Of course, 360° video isn’t just for live streaming celestial events, or even best left to the professionals. 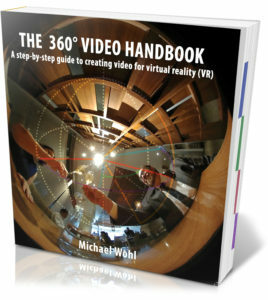 To understand more about this technology’s potential and its use today, I sat down with Michael Wohl to discuss his newly released 360° Video Handbook. 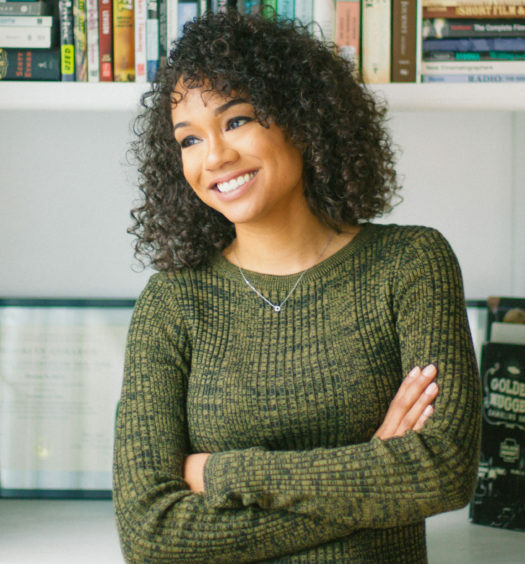 After a lifelong interest in compelling storytelling, he decided to create a user-friendly guide to help others harness this form of new technology to create immersive video experiences. Tell us a little about yourself and your background. What inspired you to create this hands-on guidebook? My father was a novelist, so from a very young age, he imparted on me the power of a good story, not just as an escape from the world, but also as a way to improve and heal society. My first break came when I got hired as one of the principal designers for what would become Apple’s Emmy Award-winning video editing software: Final Cut Pro. In this role, I saw firsthand the complex intersection of art and tech, which has remained a passion of mine. It’s since become clear to me that virtual reality (VR) and augmented reality (AR) are the pinnacle of this integration. But as I tried to learn the ins and outs of the 360° video workflow, I was disappointed with the lack of available information — what I could find was scattershot and often contradictory. Not to mention, a lot of the material out there was weak in terms of effective storytelling. I wanted to do better. So what’s the appeal then? What makes 360° video so special? There’s something undeniably magical about watching a well-made 360° video. You really do feel like you have been transported to another place, and that can be unspeakably powerful. We call that experience “presence.” And most people have trouble wiping the smile off of their face once they’ve remove the headset for the first time. The problem is that a lot of the content out there isn’t very well made, and when done wrong, VR can be more than mildly unpleasant—it can cause physical discomfort and nausea. One bad experience can taint the medium and make it hard to persuade someone to try it again. This is one of the main reasons I felt compelled to write the book. If I can do my small part to ensure quality content, then I will have contributed to medium’s growth as a whole. The topic of creating VR content is vast and complex, so I decided to hone in on the aspect that was most accessible to the widest number of people. 360° video (or spherical video) is a subset of VR where you can watch images that appear projected in a sphere around your head as if you were inside a giant video globe. The book is primarily aimed at independent filmmakers—producers, directors, editors, sound mixers, and other creatives who want to learn how to make 360° video. I tried to accommodate for both readers with traditional film experience and those who are coming to VR without it. Overall, I try to avoid getting bogged down in technical detail, and instead try to convey broader concepts that are applicable regardless of camera or scene. The 360° Video Handbook starts with the essentials: how to choose a suitable idea 360° video; how to plan for a successful production; getting the right equipment. From there, I discuss a wide breadth of directing techniques — such as spherical composition, lighting, and even working with actors — highlighting their similarities and differences from conventional video production. Next comes post-production, where I describe what is needed to bring your project to a close, including how to incorporate titles, graphics, effects, and transitions. I also provide extensive coverage on 360° video’s special audio features, and encourage readers to take advantage of directional sound. Incorporating this sort of audio is critical to creating an effective piece of work. Finally I cover how to finish and distribute your video for maximum exposure. While the book is comprehensive, it doesn’t have to be read from cover to cover. Each chapter serves as a discrete guide. You can see the full table of contents of the book here. Overall, like all my books and training, my emphasis is on how to be an effective communicator, not just which buttons to press. I’m much more interested in the why you would make a particular technical choice than the how; the latter can be memorized as a recipe of steps, but the former generates the thought and understanding that prepares you for any situation and leads to true mastery. What is the current and future potential of VR videos? Where is the technology headed? 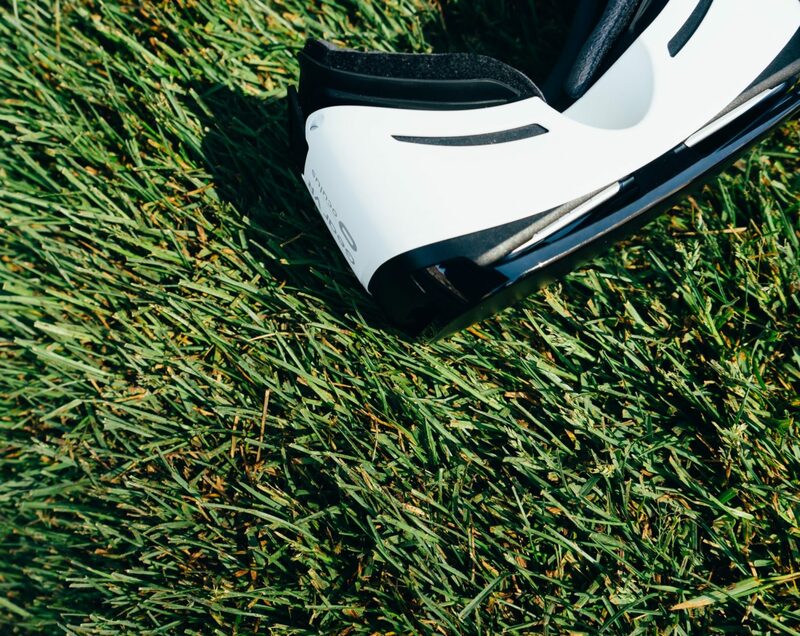 The technology for producing and consuming VR content is evolving incredibly fast. Headsets are getting thinner, lighter, and more comfortable. Meanwhile, the resolution, refresh rate, color fidelity, and field of view are all improving, making for an increasingly lifelike and immersive experience. And with the rise of retinal projection technology — which superimposes realistic 3D images directly onto your field of vision — all that will be needed to visualize content is a lightweight pair of glasses or contact lenses. I believe that we’ll soon live in a world without physical screens. No more cell phones, no more televisions, and no more laptops. What this means for entertainment is the ability to view a fully realistic, entirely immersive, 360° video surrounding you — wherever you happen to be standing. And it will be social, too; instead of Skyping your friend while she’s on vacation in Greece, she’ll appear to be sitting beside you at home, or better yet, you’ll believe you’re sitting with her on the beach. Soon, people will be able to carry on organic, real conversations — virtually indistinguishable from reality. Are there any other uses for VR beyond entertainment and social connection? VR has been used in therapeutic settings to treat disorders like PTSD and depression. It can be harnessed in educational or training situations where simulations allow people to experience environments and tasks that are too risky to “learn on the job.” From fire-fighting, to performing surgery, to space exploration, this technology will inevitably transform myriad industries in ways far beyond what we can even conceive right now. 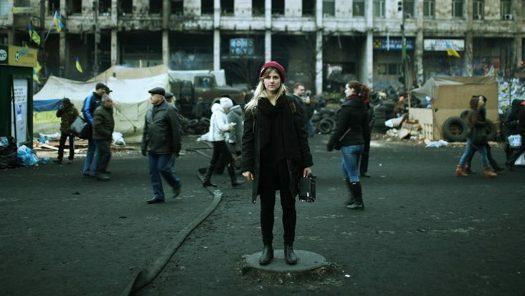 Some experts believe that VR can be used to create an empathetic response in people who would otherwise deny or ignore the suffering of others. And this potential is tremendously exciting. Because the experience of watching a well-crafted piece is so overwhelmingly immersive, you really do feel like you are there, literally walking in someone else’s shoes. In this way, VR might have an impact on the world that is genuinely profound by bringing even the most disparate cultures closer together. Finally, what would be your biggest advice for beginners interested in, or just beginning to make, 360° videos? This may be a cliché, but the best advice I can offer is to just go out and do it! You’re inevitably going to make some mistakes, so don’t begin with a project idea that’s precious to you. Start with something silly and expendable; and do it quickly, because it’s equally important that you see your project all the way through to its final output. There are seemingly minor mistakes you can make early in the process that have dramatic consequences for your final video. You’ll never know what they are until you get your finished work online and view it in VR goggles or your anticipated viewing environment. In this way, VR might have an impact on the world that is genuinely profound by bringing even the most disparate cultures closer together.